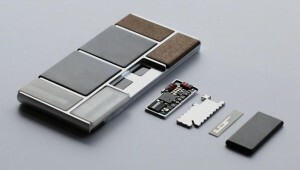 Project Ara is Google’s Most ambitious Project for bringing up Modular phone, A phone in which user can actually replace its parts like processor, display, camera and lot more to it. It’s recent prototype named spiral, spiral’s first look seems quite promising and soon its 2nd version will be shown in conference. Seeing its amazing prototype,you will be caring a phone in near future because it actually boots,whose part can be replaced just like a battery replacement. Enough of talks, let’s have a sneak preview in future phone prototype. .
Phonebloks started the concept of reusing the components and reducing the electronic-waste, since every year millions of phone becomes just a waste because some of their parts get damaged such as display, sound, camera,,WiFi etc.